For those times when we just can’t get away, we can at least hope that someone sends us this beautiful seaside oasis. At home or the office, it offers a delightful getaway. 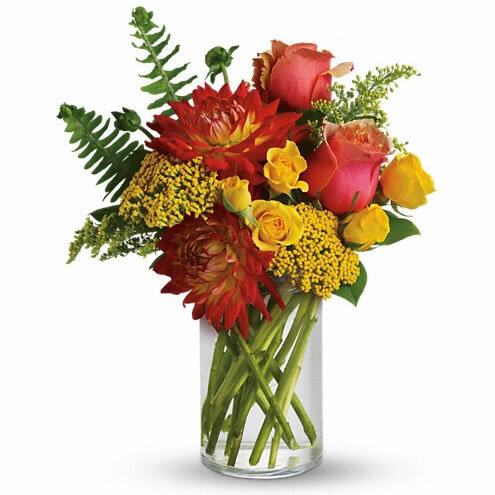 Orange bi-color roses, yellow spray roses, orange dahlias, yarrow, solidago, fern and salal arrive in a pretty cylinder vase.